Discussion in 'Lexus Lounge' started by krew, Nov 30, 2017. IS-SV and Den like this. I'd be ALLLLLLLLL over this if this was available in Canada! Lexus will introduce a new special edition RC at the Geneva Motor Show next week, which will hit the UK market in early May. 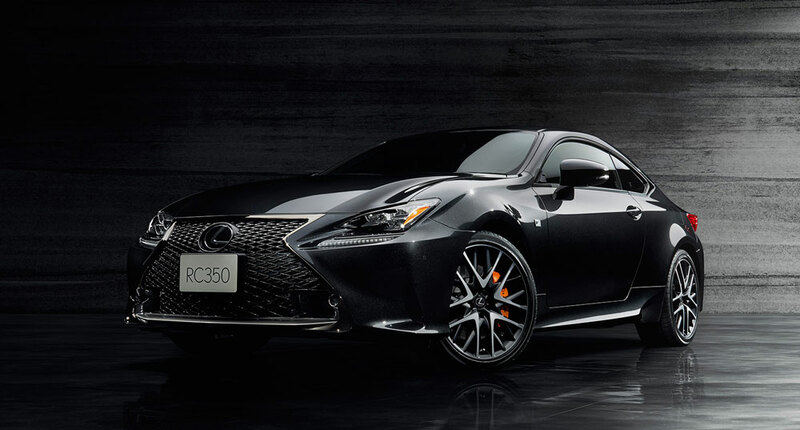 Called the RC 300h F Sport Black Edition, a number of stealthy styling additions single it out from the regular RC coupe, while it’s based on the range-topping F Sport Premier specification model. Given that the Black Edition is based on the range-topping Premier model, standard equipment includes a 17-speaker Mark Levinson surround sound system, plus a 10.3-inch infotainment screen complete with built-in navigation. Driver assistance highlights include a reversing camera, blind spot assist, rear cross traffic alert, rain-sensing wipers and full LED headlights. Things are unchanged under the bonnet, and the regular 300h hybrid powertrain is present and accounted for. That means a 2.5-litre inline four-cylinder petrol mated to an electric motor, developing a round total of 220bhp. Lexus claims the system is capable of returning 56.5mpg and 116g/km. The RC 300h F Sport Black Edition goes on sale in Britain on 1 May, priced from £45,165. The black wood looks so good, much better than piano black, which could be mistaken for gloss black. Offered on both the 2018 Lexus RC 300 (Starting MSRP: $58,700) and 2018 Lexus RC 350 (Starting MSRP: $64,100), these exclusive editions are built on the F SPORT models. Black Editions feature 19” F SPORT wheels with matte black accents plus black chrome grille and window frames. Inside, black seats feature orange stitching, plus a blackwood heated sport steering wheel and black edition wood print trim. 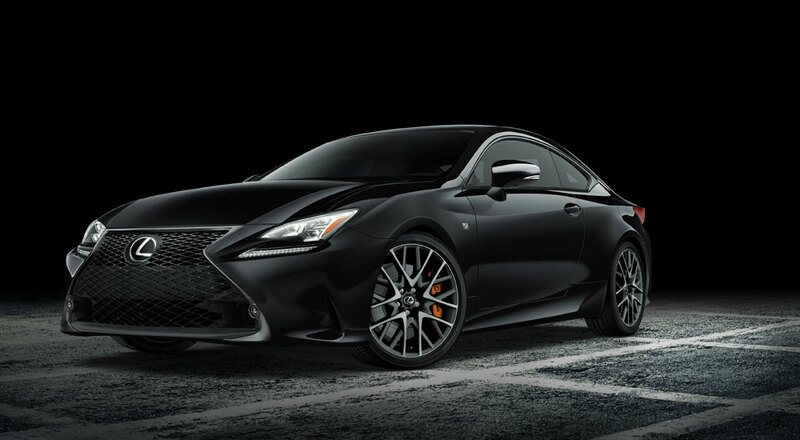 As F SPORT models, the RC Black Editions include drive mode select with custom mode, active sound control, adaptive variable front and rear suspension systems, and more. New for 2018, all RC models feature revised engines with all wheel drive, and are standard equipped with both Lexus Safety System + (including lane departure alert with steering assist, pre-collision system with pedestrian detection, automatic high beam, and dynamic radar cruise control) and Enform Audio (featuring Enform App Suite 2.0, Enform Safety Connect, and – on the RC 300 – Scout GPS).